We cannot possibly thank our sponsors enough for making this placement possible. 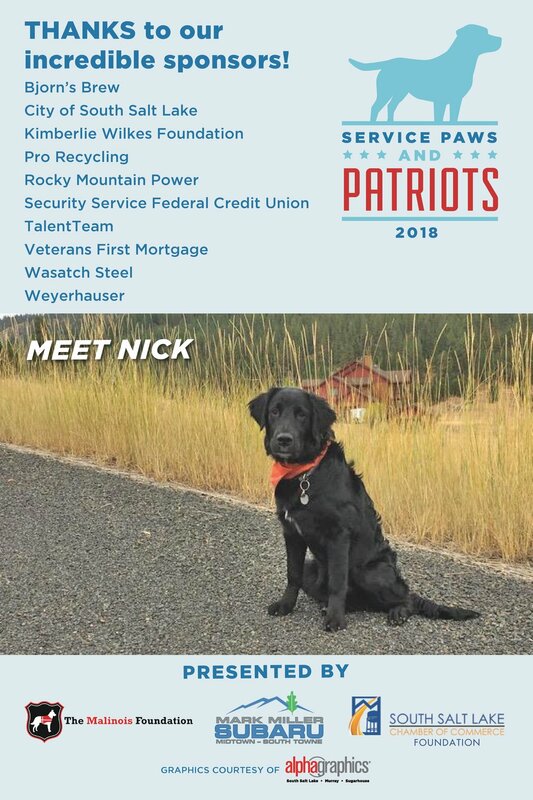 Nick has trained so hard for this new career and thanks to our donors listed here, Nick will be going to work as a PTSD/Mobility Support service dog with his new handler and Army Veteran, Daniel! What an amazing day! Older PostJoin Us At Private Screening of Avengers: Infinity War!